The new Lincoln Aviator features one of the most immersive sound systems in the industry. Sound plays a key role in the all-new Lincoln Aviator to create an air of luxury inside the three-row SUV. Lincoln even went the extra mile and enlisted the Detroit Symphony Orchestra to record the in-car alert sounds. This same meticulous attention to detail has also been applied to the sound system. While many manufacturers offer premium sound systems as an optional extra, the 2020 Lincoln Aviator comes with one of the most immersive sound systems in the industry as standard. 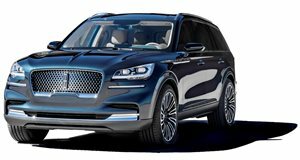 The 2020 Lincoln Aviator features a Revel Ultima 3D Audio System that includes no less than 28 speakers that produce an immersive 360-degree listening experience. Three listening modes are available: stereo, audience and on-stage. It also comes with an immersion control slider in the center stack and four sets of dual-height speakers in the headliner. The slider allows occupants to personalize the audio experience by determining how much they want the music to envelop them in the cabin. In stereo mode, Aviator passengers sit precisely in the sweet spot between a pair of speakers, whereas Audience mode allows them to enjoy the best seat in a concert hall "as the stage widens in all directions.” On-Stage mode, on the other hand, provides 360-degree sound. "As you increase the immersion, you find yourself inside an incredibly expansive listening environment – one that seems to extend beyond the vehicle interior. Guitars, left and right, are very wide. The vocals are incredible. It’s really changing the norm of what you’d expect from sound in terms of reinforcement and position,” added Revel exec, Brandon Wheeler. New dual 40-millimeter speakers are also located above each occupant in the front and second-row seats for a total of eight speakers in the ceiling. They are meticulously integrated with the three-way speakers in the doors and two-way front and rear speakers.